As the story goes . . . Betsy Ross was handed a pencil sketch from George Washington, with what he thought the new American flag should look like. Although there is no proof of this story; or if in fact she used his design. 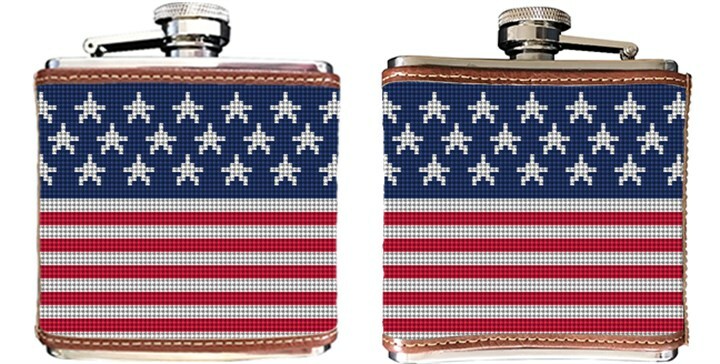 We have designed an American Flag needlepoint flask, we think Betsy would approve of. A fabulous gift idea for the "Stars and Stripes" fan.